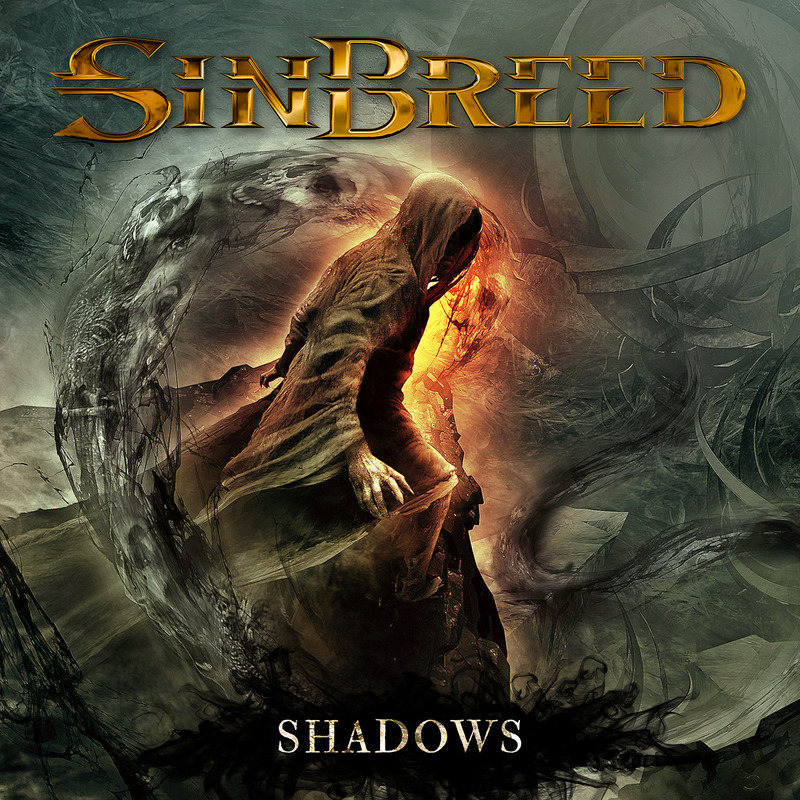 Alright, I never even heard of SINBREED before this new album of theirs Shadows fell into my lap a short time ago. They fit the mold of German melodic power/speed metal to a T though and that works both for and against them. The album is jam-packed with heavy metal riffs and fast-paced drums, which normally wouldn’t be a problem except for the fact that EVERY song is that way. Look, I’m all for flying the flag for killer guitars and pounding drums, but when it’s pretty much the same thing for 10 songs in a row it can get a bit tedious. And you guys know I am nothing if not 100% honest when it comes to a record, whether I love it or hate it. So rather than go track-by-track like I usually do I’m just gonna focus on what I DID like. The first song that caught my attention was the title track “Shadows”. Good pacing, solid riffage and a memorable hook. Next up is “Reborn” which is definitely my favorite. Vocalist Herbie Langhans is at times wonderful and at others a bit grating, sounding like a cross between Mark Tornillo with a bad cold and I don’t know who else. Now calm down! I LOVE Mark Tornillo and I guarantee no one is looking forward to the new ACCEPT more than me, okay? Good news is on “Reborn” he really shines as does the whole band, reminding me of early HELLOWEEN. “Leaving the Road” is another one with a hooky refrain and a rather majestic solo, so that one goes in the win column as well. On the killer riffage front, “Far Too Long” is the clear-cut favorite, with the whole band coming in like the children of Machine Gun Kelly, firing at will. I have to say my other favorite almost from first listen was “Black Death” The evil, layered vocals on the choruses really help to develop the ominous tone and the guitars are 100% in speed metal territory. I also enjoyed “Broken Wings” with its clean and understated intro that is quickly lost in a black sea of guitar, bass, and drums. Herbie delivers one of his better vocal performances on the album here, too. Guitar aficionados will surely gravitate to “London Moon” for the opening run alone. But the overall groove and feel will keep you listening, so that’s a plus. Overall, I think SINBREED are very good at what they do. And as far as power metal bands go they are without a doubt one that’s on the rise. I just think if they mix it up and maybe throw something mid-tempo in there once in a while it will break up the albums in future. But hey, out of 10 songs I only didn’t care for a few, and to be honest the ones I did like have been getting multiple spins, so these guys are doing something right. And I’m definitely curious to see what the future holds for SINBREED. Shadows comes out April 15 via AFM Records. Pick up a copy and let me know what you think of it. I’d love to hear your thoughts, guys!